SURELY we all play the same game in our heads; your numbers come up and suddenly you’ve got more money than you know how to spend. Of course a garage-full of bikes is going to be right up there on the must-buy list. Perhaps in second place, with the first being ‘buy a big garage’. But then there’s that agonising decision: what bikes do you buy? Limiting ourselves to 10, we’ve come up with a dream garage of bikes that we’d actually want to buy, own and use. Perhaps it’s just us, but there’s no Brough Superior to be found here, nor any pure unobtanium like Honda’s RC166 six-cylinder racer. We’d like bikes that we could actually use and enjoy rather than ones that will eat up half our lottery win with a single engine failure. These are the machines we’ve come up with. What would your dream garage consist of? Yes, Ducati has just launched its new, all-singing, all-dancing Panigale V4 and we’ve got absolutely no doubt that it will be stunning. But the 1299 Superleggera was the ultimate evolution of the V-twin Panigale, and with the introduction of the Panigale V4, it will probably go down as the most exotic, expensive and capable two-cylinder superbike that anyone has ever made, or ever will make. A carbon frame, carbon wheels, 215hp Desmo twin and that slim Panigale shape that no four-cylinder can quite match makes it a combination that’s hard to beat. 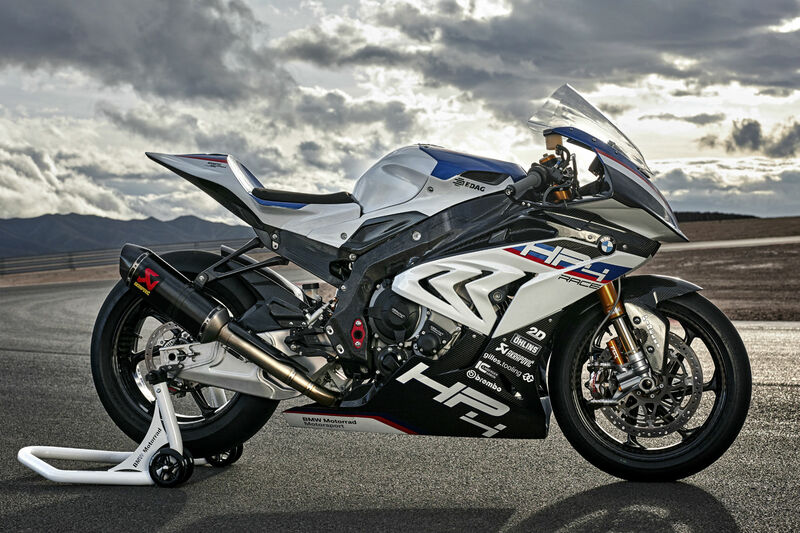 There’s really no need to have the carbon-framed BMW HP4 Race alongside the similarly-made Superleggera in the garage. But they’d make a lovely pair. The BMW’s track-only intentions mean that it would be our go-to machine for track days. Yes, the engine needs to be replaced every 5000km, but even with some fairly serious track day use that total might take a couple of years to reach. And hey, we can afford to replace it when necessary, right? We struggled a little more with the H2R. 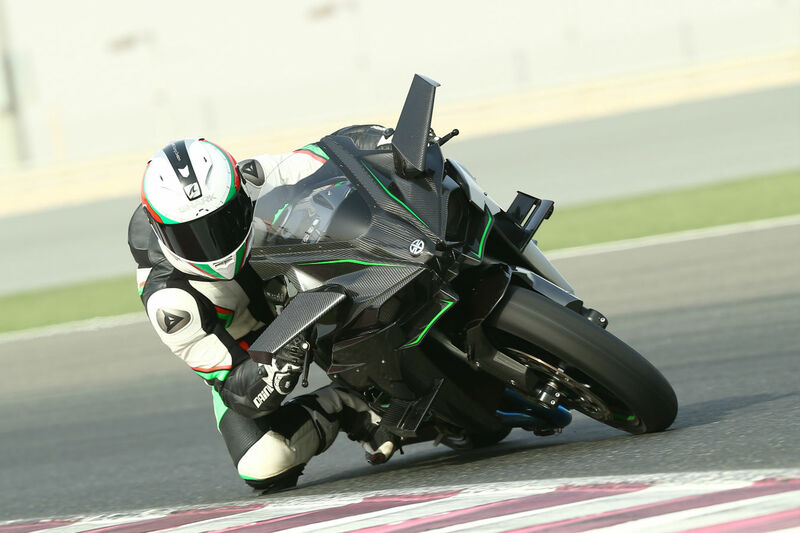 After all, we’ll be using the BMW for track days, so what use the non-road-legal, supercharged Kawasaki? Well we’re still not sure, but that doesn’t mean we don’t want a 310hp supercharged superbike in the garage. We’ll find a use for it. After all, how hard can it be to get it road-registered, really? So we’ve got a handful of insanely-fast superbikes in our garage already. So why do we want one that’s 25 years old, slow (in modern terms) and heavy? Well, because it’s an NR750. That mad, nearly-a-V8, oval-pistoned, 32-valve engine simply stands out as a high point for Honda. It showed a time when the firm really believed it could do anything, and was prepared to prove it, even if it cost them a fortune. With NRs changing hands for about £60k these days, it’s a drop in the ocean for our imaginary multi-millionaire selves, so why not have one in the collection? 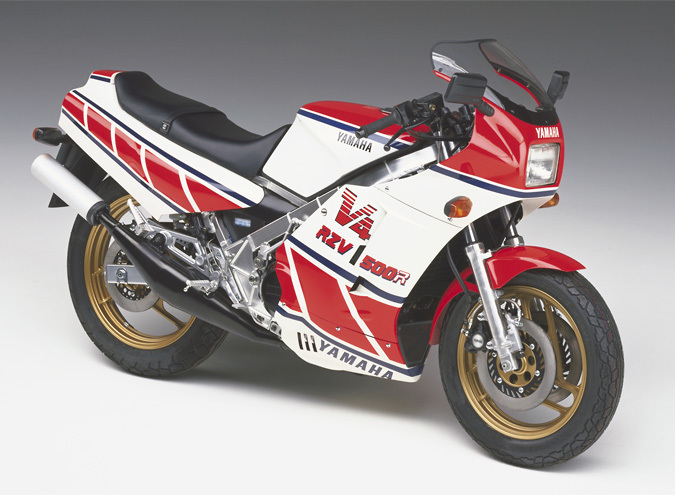 Well, we needed a two stroke, and the RZV500R was pretty much the ultimate incarnation of the era of four-cylinder, two-stroke GP replicas. While we got the RD500 over here, in Japan the RZV500R took the same engine and put it in a handmade aluminium frame with higher-spec suspension and less weight. Yes, there are many faster bikes and a late Aprilia RS250 is probably a swifter, better handling two-stroke. But this one has four cylinders, so there. Why a Honda RC30? If you had any interest in racing as the 1980s turned into the 1990s then you probably aren’t asking that question. There’s simply no more legendary homologation special. Hugely successful, wonderful to look at and to ride – better, we’d argue, than the RC45 that replaced it – prices are going stratospheric these days. With no fuel injection, let alone traction control or riding modes, the RC30 might be the perfect analogue superbike. Adventure bikes still rule the roost in terms of sales at the moment, and the appeal is clear to see. But the one that raises our pulse isn’t one of the new generation of incredibly fast, comfortable and capable mile-eaters. It’s the granddaddy of the whole breed – the R80G/S Paris Dakar. This is the bike that BMW’s latest R NineT Urban G/S is paying homage to, and while the new machine is without doubt in a different league when it comes to performance, handling, equipment or comfort, the original is the one we’d get the most pleasure from riding. Sorry, it’s another limited edition, homologation-special sports bike. Actually, we’re not sorry. This is our list and the R7 earns its place here on the basis that it is one of the best-looking motorcycles ever devised. No, it doesn’t have a shelf full of world championship trophies or performance figures to top any ‘world’s fastest’ lists, but it’s another of those machines that many of us drooled over when it was new. We hoped that maybe prices would drop to attainable levels. That didn’t happen, so a fraction of our imaginary windfall would go to buying one. The last couple of years have seen some astounding superbikes appear. Many of them – the 1299 Superleggera, HP4 Race and H2R, for instance – are on this list already. But the RC213V-S, despite being slower than any of the aforementioned machines, is the real jewel in the recent collection of race-bred bikes. Why? 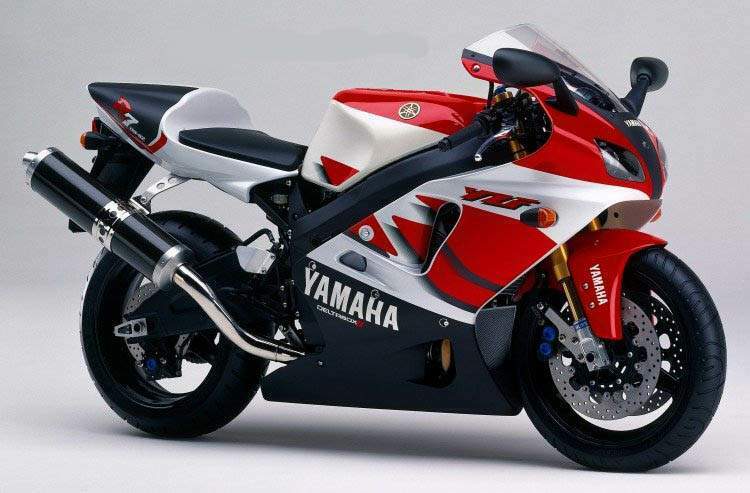 Because it’s derived directly from the RC213V GP racer, and even put together by the same people. Short of going and picking up a real ex-race bike (barely possible when it comes to Hondas), it’s the closest thing in existence to an RC-V that you can own. No money-no-object collection can be considered complete without one. The Ducati Desmosedici RR is a decade old now. Compared to the new Panigale V4 it will be slow, unsophisticated and expensive. But if our imaginary millions were in the bank right now, we’d definitely buy one nonetheless. Not to say that a Panigale V4 wouldn’t join it in future, but the new V4 isn’t available just yet and regardless how close its engine is to the current racer’s it doesn’t have that genuine Desmosedici styling that the Desmosedici RR offers. This entry was posted in Bikes, Dream Bikes, Home. Bookmark the permalink.